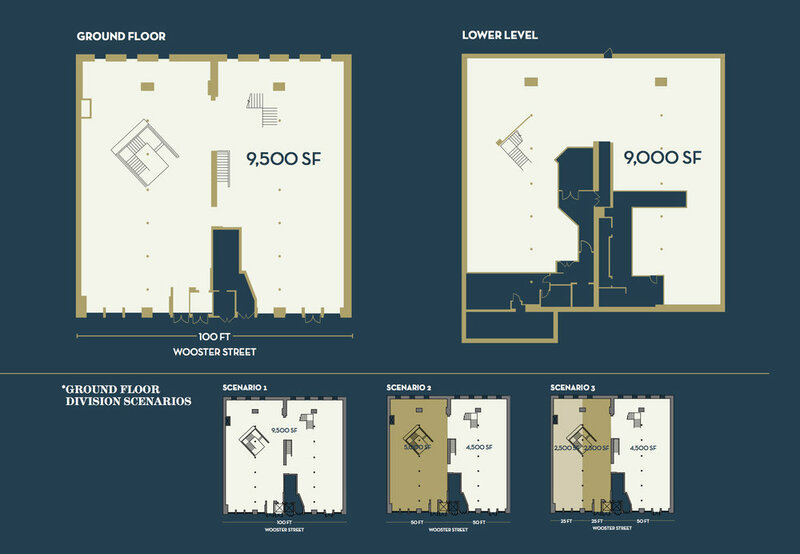 105 Wooster is a six-story, 55,000 s/f mixed-use luxury condominium building. The retail space consists of 9,500 SF on the ground floor & 7500 SF in the lower level. Situated between Prince and Spring Streets, there is 100 feet of frontage on Wooster. 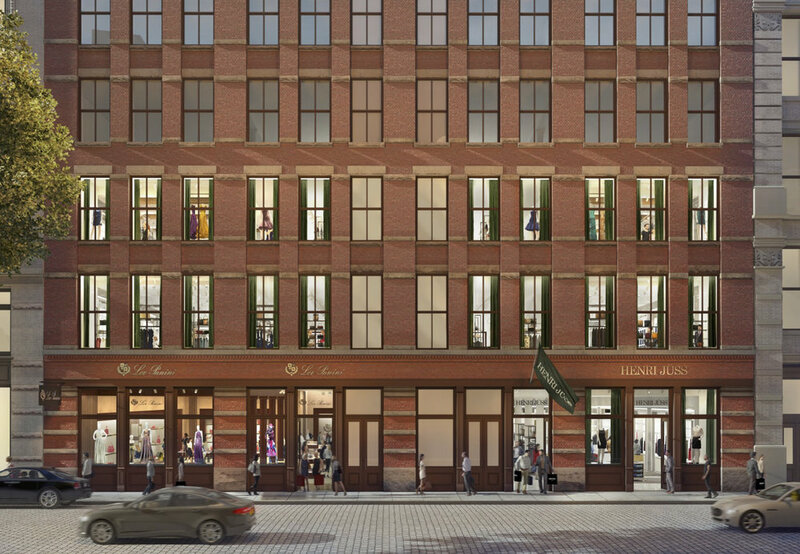 The location is in the heart of SoHo, one of Manhattan’s strongest retail markets, where luxury and accessible retail brands create a vibrant atmosphere attracting locals and tourists alike. Neighboring retailers include Chanel, Balmain, DVF, Issey Miyake, Tiffany & Co., Barbour, Ted Baker, Ray-Ban, and Canada Goose.